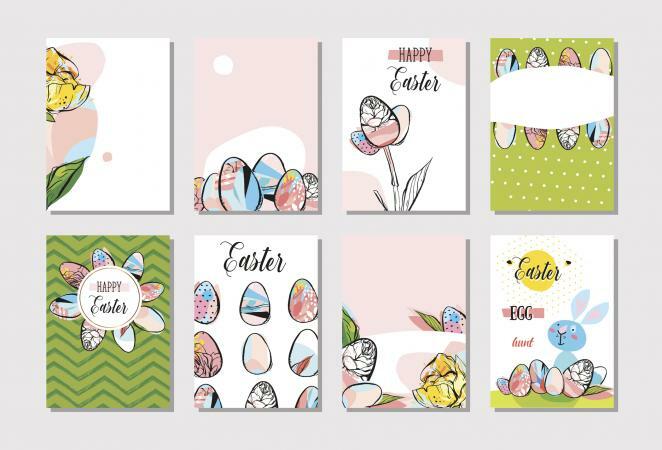 Easter card sayings are a fun part of making your own Easter cards. It can be difficult to think of witty sayings yourself, but there are many places that you can go to for ideas and inspiration. Before they are all out of style. Be sure to match the card that you create to the saying that you have chosen. If you have chosen a saying that is very Victorian in nature, then you will want to design your card to have the same feel. For a more contemporary card, you may want to choose a contemporary saying and font. 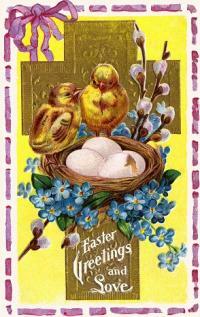 You may want to just print out cards to write your own Easter sayings in. There are some good websites to find printable Easter crafts and coloring pages on the Internet. You can use these are they are printed or cut them up and use them in your own, creative way. Remember, while you can use these sayings in your card making, it is also fun to use them as part of your decorating. Use them on dyed eggs, pictures, wreaths, pillows, and in other creative ways. By combining your favorite sayings with seasonal images, you can make an Easter project that is uniquely yours. Whether you use the Easter sayings for your cards or to write on Easter eggs, you will have fun wishing friends and family a Happy Easter.